Our story is a simple one. Our love of fresh ingredients, a passion for Italian food and the great pleasure we take from helping people to celebrate the special times in their lives. 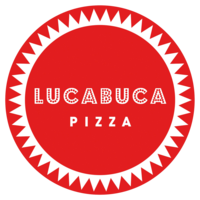 Add in a lovingly restored vintage horse box, a great big sign in lights telling everyone what we do, and a lot of hard work, and Lucabuca (named after the founder's little boy Luca, whose love of pizza is strong) was born. Adding another dimension to your wedding, parties and events we’ve designed and built a fantastic new structure with our wood-fired pizza oven, custom-made gazebo and our pizza sign in bright lights. Our new look will be styled with various tomato tins and basil pots, crates, foliage, ladders, stools and beautiful Italian detailed furnishings making it all the more authentic with vintage charm. The horsebox is currently positioned in Central London so for weddings and private parties we are using our fabulous pop up.